Sasanka Hazarika, a forty-year-old graduate teacher of Dahi Higher Secondary School in Darrang district will receive national award for teachers for 2017 from Assam. Hazarika is the youngest teacher to receive the national award. Hazarika is a resident of Punia-Pakabangipara village near Mangaldai town in Darrang district. He has been serving as an assistant teacher (science) at Dahi HS School since 2014. Hazarika has been selected for this prestigious award by an independent national jury along with other 44 teachers of the country following an open online application process introduced for the first time by the Ministry Human Resource Development (HRD). G Vijaya Bhaskar, Director, Education and Literacy Department of MoHRD informed Hazarika through a letter about the award. The award will be presented by Vice President M Venkaiah Naidu in a function to be organized at Vigyan Bhawan, New Delhi on the occasion of Teachers’ Day celebration on September 5. The award carries a citation, a silver medal and a cash prize of Rs 50,000. Talking to Northeast Now, Hazarika said that he has felt honoured and delighted for being conferred the national award. “The awardees have been selected by a penal of 145 teachers across India on the basis of the nominations recommended by the district level and State level selection committees. I really feel very honoured and delighted to achieve this remarkable feat and that too as the youngest candidate,” shared Hazarika. 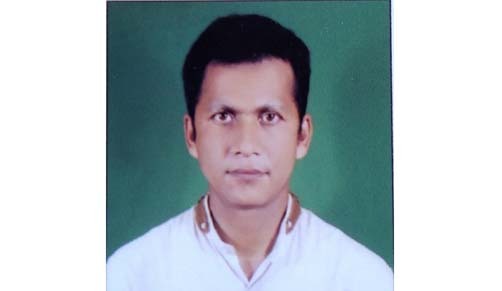 A science graduate from Gauhati University and a Postgraduate of Information Technology from Sikkim Manipal University, Sasanka Hazarika before joining as a regular teacher had served in a couple of institutions under Kendriya Vidyalaya Sangathan for several years as a computer faculty member. The news of his selection for the national teacher award from Assam has made the teachers’ bodies and other academically conscious organizations of the State jubilant. The Darrang District Committee of the All Assam Higher Secondary Graduate Teachers’ Association on Saturday offered Hazarika a public felicitation at Youth Club, Mangaldai.